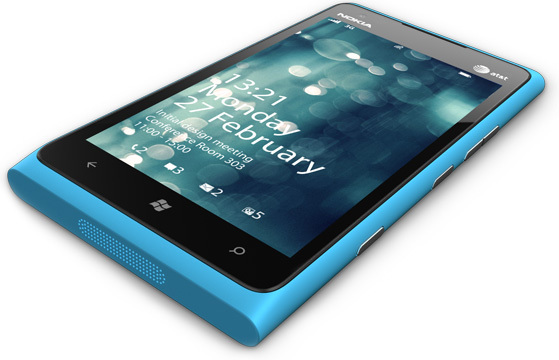 The Nokia Lumia family of phones by Nokia is the latest in their bid to make a stand in the smartphone market. This review aims to take a look at the pros and cons of this latest piece of technology put out by Nokia and Microsoft. 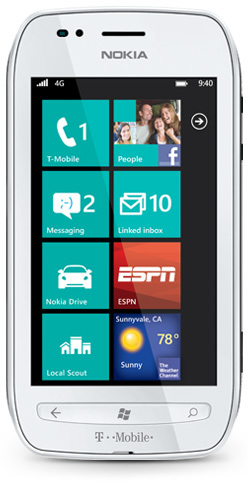 First off, Nokia has seemed to improve the quality of their smartphone line with the Lumia. It has some pretty impressive specs for a phone that sells for $100 bucks. Not too shabby for a $100 phone that supports LTE as well. So hardware wise, while it’s not top of the line, it’s certainly impressive enough considering how cheap it is to buy on contract. Price is a big selling point too. As popular as the iPhone was when it first came out at $600 bucks on contract!!! … the iPhone didn’t really gain traction until they were able to drop the price down to a more reasonable $200 on contract. There’s really only 2 or 3 basic types of phone shoppers. The one’s who feel paying money for a cell phone is cancerous, and avoid it like it’s a puddle of AIDS. They go out and buy $20 prepaid phones and use them for 5 years or more until it breaks, then part with another $20 to replace it. Then, you have your “mid range” crowd who want to be part of the cool crowd, but want to get away with that as cheaply as possible, and then your high end crowd who settles for nothing less than the best. The iPhone/Galaxy S/Nexus S types who are proud to admit they paid full retail for the device to avoid contract, or just can’t or don’t want to paid subsidy pricing for their plans, but at the end of the day want nothing less than the most powerful brick they can land. The Lumia family falls squarely into this middle ground crowd, and it’s a nice handset from a hardware standpoint although I’m not particularly in love with the look, it’s a fairly sharp looking device, is sleek, feels good in the hand, which is very important, and sports pretty impressive specs for such a low end contract price. The crowd who wants a smartphone basically because it’s the in vogue thing at the moment will buy this device because of the price. Also, people who yearn for the higher end phones will also gravitate towards the phone because again, the specs vs price are certainly hard to beat. From a software standpoint. Despite not being a huge fan of Microsoft software, I have to admit, since Win Phone 7, Microsoft has really done quite well in bringing the mobile version of Windows into the 21st century, and with Mango 7.5 on the device, I must admit I was fairly surprised how easy the ‘live tile’ system was to get a handle on. The OS ran smoothly, flawlessly, didn’t crash, was zippy at the various tasks I tested, and is an overall great experience. A pretty big compliment coming from someone who’s a big iOS fan, and although I still am, as much as I hate to admit it… Windows phone is a decent OS now. The flip side of that coin though is applications. Windows Marketplace is a street side vendor cart compared to Google Play Store (formerly the Android Market), at about 300,000 and the App Store at well over a half a million apps. Windows Marketplace is at about 50,000 right now, and has been growing pretty rapidly with about 20 percent of the apps coming in just within the last few months. Still despite it’s recent growth, there’s still a long road ahead before Microsoft can comfortably compare to Apple or Google. With that said, if you’re not that big on apps, and the basic features of just about any smartphone will pretty much fill your app need, then this phone could be a good choice for you. However, for the same price, you can land last year’s model iPhone (4) for the same price on contract with 8GB and probably be in better shape overall. While the Lumia out specs the iPhone 4 in a few areas, the iPhone 4 out specs the Lumia in a few as well, and for what you give up spec wise with the 4, you get the prestige of owning Apple (which is a turn off for some), and all the positives Apple brings to the table with better software, better quality hardware, way more apps, and the whole ‘ecosystem’ compatibility with Macs, iPods, iPads, Apple TV, and iCloud. So, if at the end of the day, you’re one of those mid range types who want the most they can get for the least cheddar, and you’re actively avoiding Apple because, well, you’re one of those anti-Apple types, then I’d highly recommend the phone. If you’d rather own Apple though, you can at the same price buying last year’s model, and still be ahead at the end of the day.